Gixxer is the flagship bike from Suzuki Motorcycles which has performed phenomenally well for the company. Now, Suzuki Motorcycles India has set a target of selling more than 1 lakh units of 155cc Gixxer siblings within first year of the model launch. 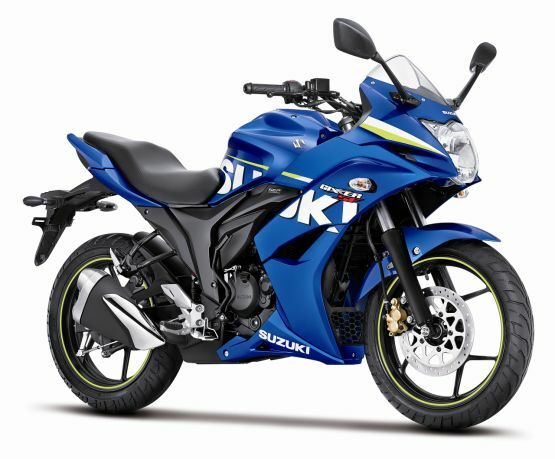 Suzuki has already sold over 45,000 units of the standard Gixxer within 6 months of its launch into the 2 wheeler market. The company has also confirmed that in 2015, it is going to launch the duo of its sports bikes, GSX-S1000 as well as S1000F. Suzuki Gixxer SF would also get the same features as that of regular Gixxer – same engine, chassis as well as suspension except the full front fairing, LED tail lamp, clear lens indicators and a digital instrument cluster. In order to improve the fuel efficiency and performance, Suzuki Gixxer SF gets the SEP(Suzuki Eco performance) technology , which is present in some of Suzuki’s other products like Gixxer and Let’s. Atul Gupta, executive vice president of SMIPL(Suzuki Motorcycle India Private Limited) told to the media that Suzuki Gixxer SF would certainly help in strengthening the company’s stand in the market, especially the premium motorcycle segment. Suzuki India is also looking to expanding its presence and wants to appeal young customers with the products that suits their style, mileage and performance. According to a sales report from Suzuki Motorcycles India, the company has sold 313,704 units in the period of April 2014 to February 2015. The March’s sales data shows Suzuki Motorcycles India has sold 32,431 units, which is 6% more than that of the last year.